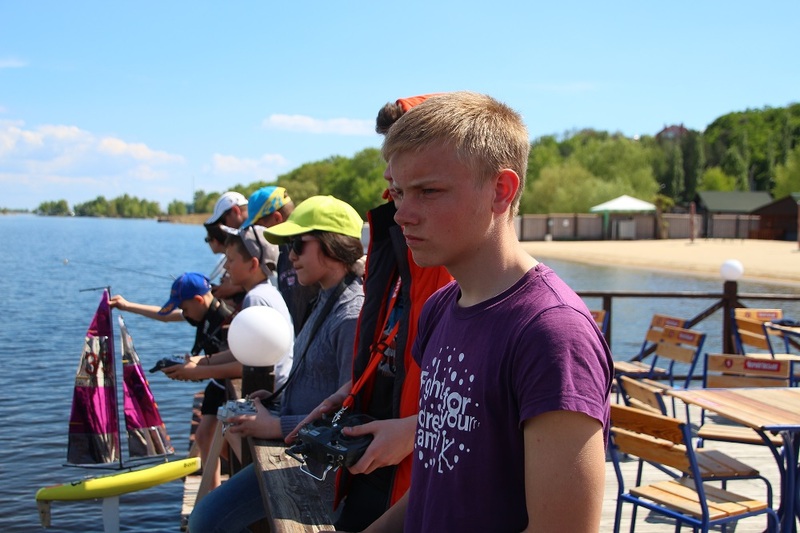 During 30.04-02.05.2016 we had three beautiful racing days in Cherkassy at Entertainment complex "Bochka" during Kremenchug Sea Cup 2016. First day we raced F5-P class, the second day was F5-E class and the third day was F5-10 class. 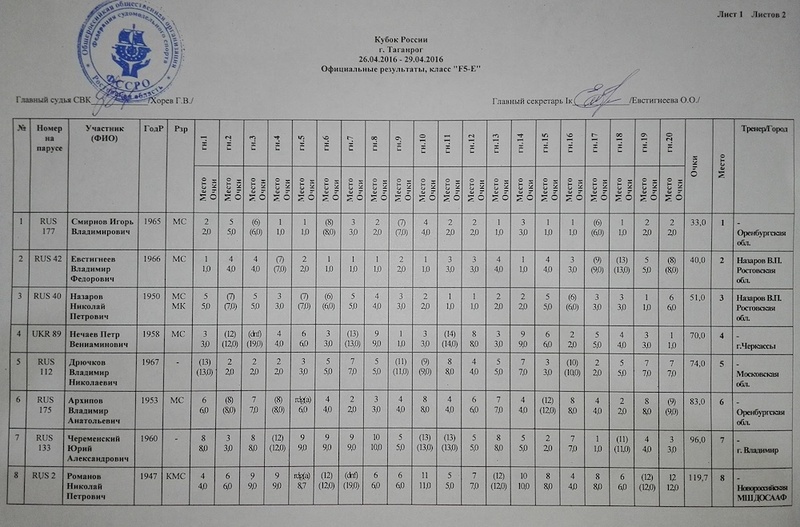 F5-P and F5-E classes races are also qualified as 1st stage of Ukrainian Cup 2016. Also during all three days we sailed match races in a new class Dragon Force 65. 30.04.2016 racing day. The weather was sunny, we had wind conditions between no wind and top A rig. 16 F5-P boats took part (between them one Dragon Force). 6 seniors and 10 juniors. 8 races performed. Competition between seniors was very tight in each race for each place. 01.05.2015 racing day. The wind was from none to light. 13 competitors - 8 seniors and 5 juniors took part in F5-E class races. 10 races performed, 2 discards. Very tight and fair competition. 02.05.2016. Final racing day. Light breeze within A rig. 10 competitors in F5-10 class - 6 seniors and 4 juniors. 10 races held with 2 discards. Tight tactical compete and lot of pleasure by driving Tenraters. Walicki Partner boats on top again, however Walicki Marbleheads with tenrater sails and Peter Nechayev boats also look very competitive in these wind conditions. 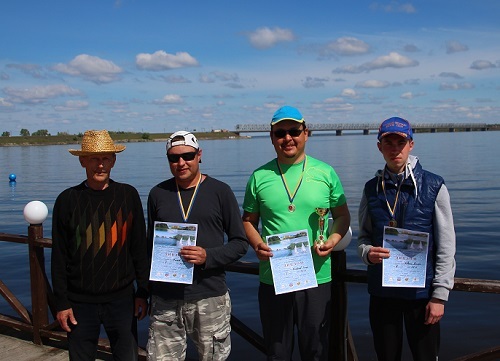 During all three days, match races in Dragon Force 65 class took part. 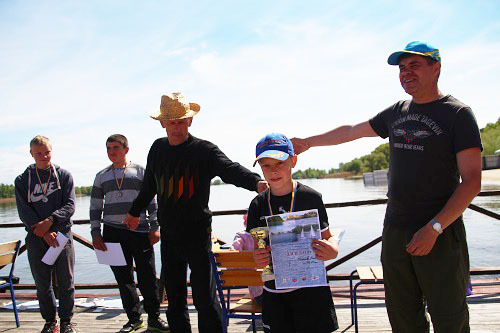 This was one of the first presentations of this new class to the modelsailing community of Ukraine. Match races had a lot of surprises and were interesting to watch. After round robin all competitors have different number of wins, so finals were not necessary. 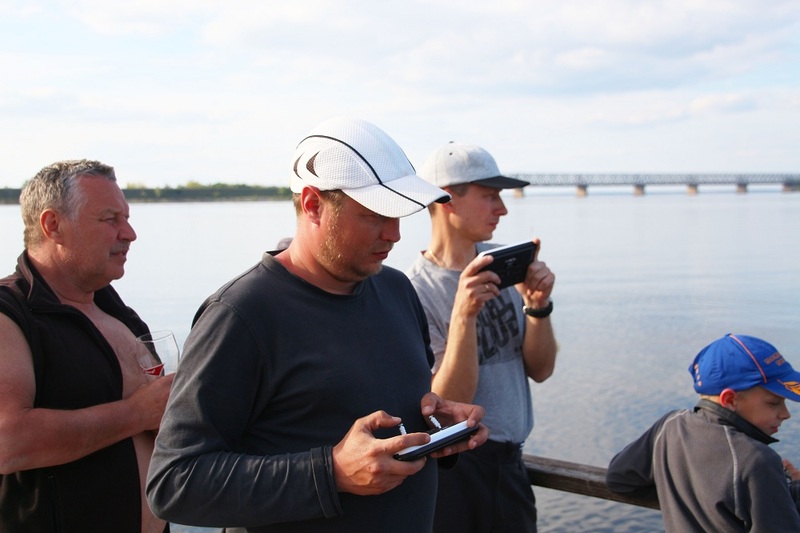 We have big hopes to this class to boost radiosailing in Ukraine by attracting much wider circle of people to our sport. 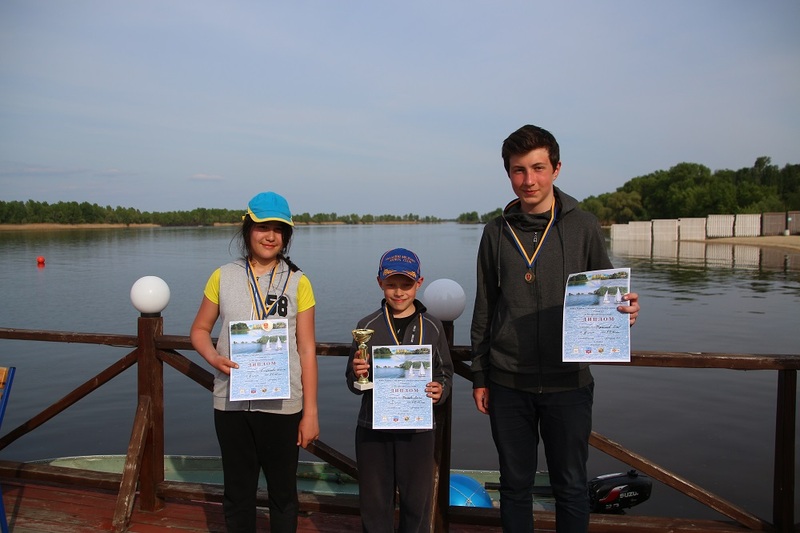 As a tradition, set of regattas in Taganrog took part in the end of April. 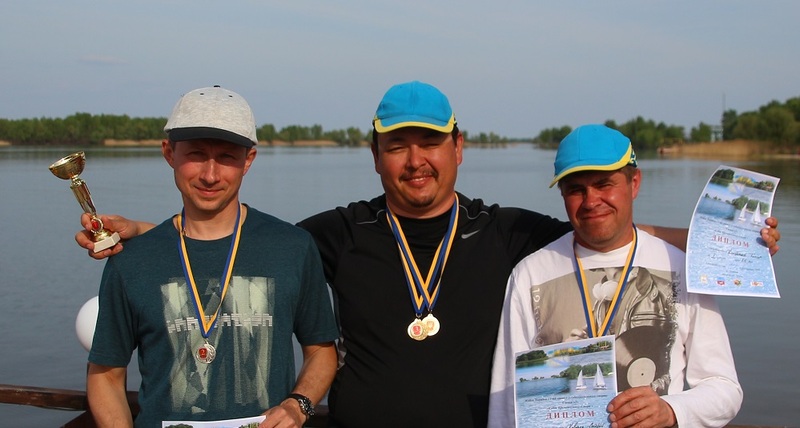 Congratulations to our ukrainian skipper Peter Nechayev UKR 30 who won this class! 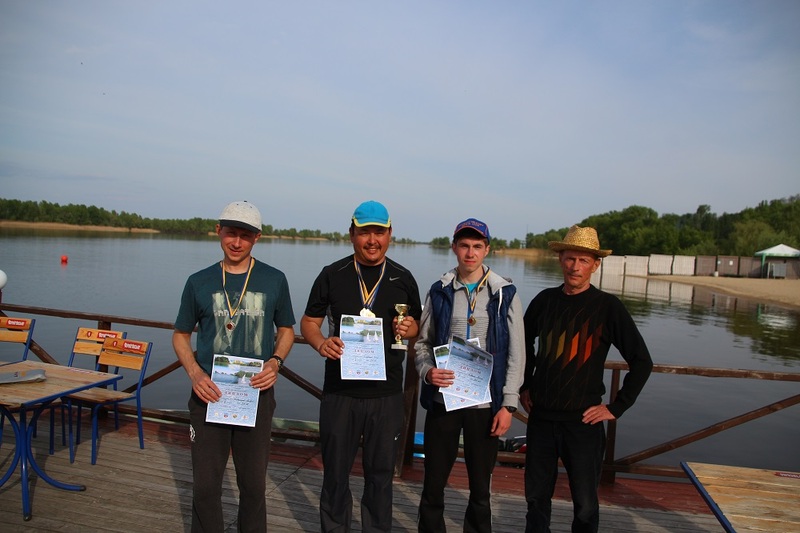 Congratulations to all winners and to Peter Nechayev with 3rd place! 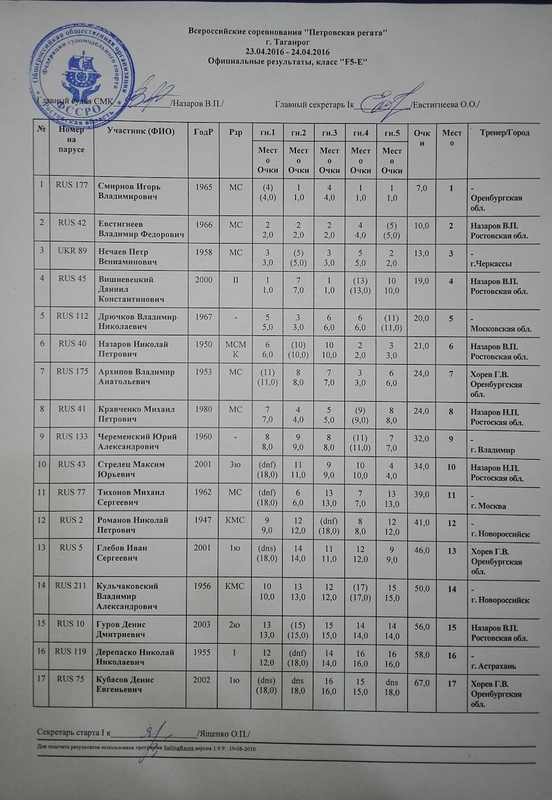 26-29 of April Russia Cup 2016 competitions were held in F5-E and F5-10 classes. Congratulation to winners! 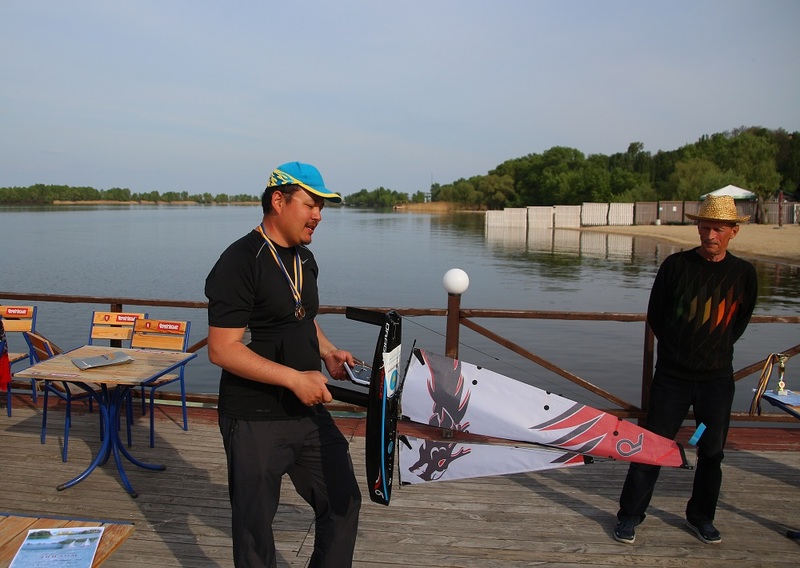 Ukrainian skipper Petr Nechayev took a good 4th place in this competition. Congratulation to winners! And to Peter Nechayev with good 4th place. 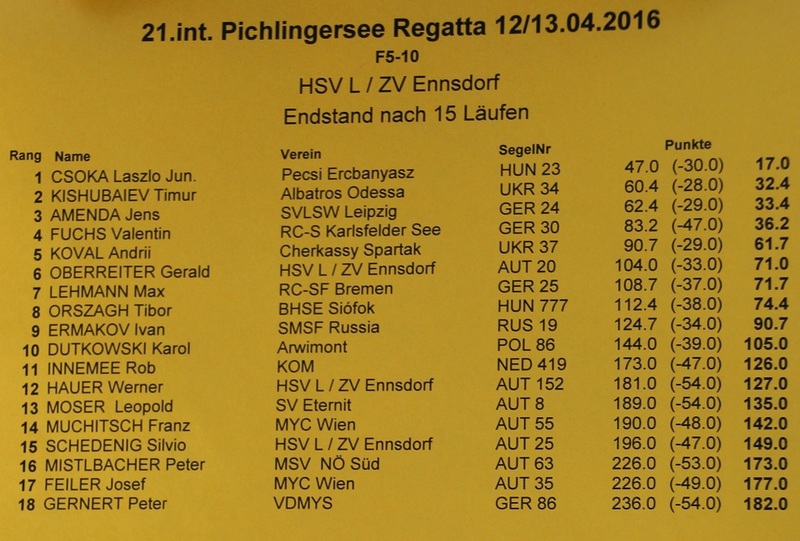 In April the traditional Pichlingersee regatta was organised by fine team of HSV Linz /ZV Ennssdorf. 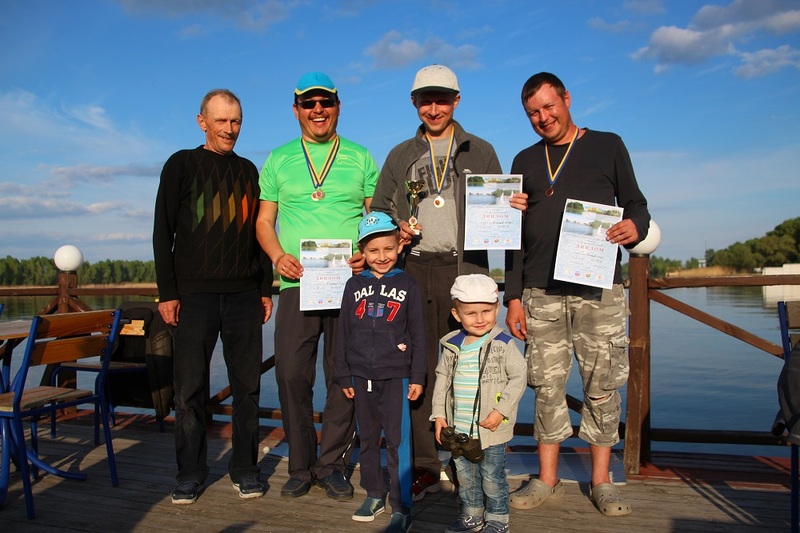 10-11.04 the races is Mini 40 trimarans were held. 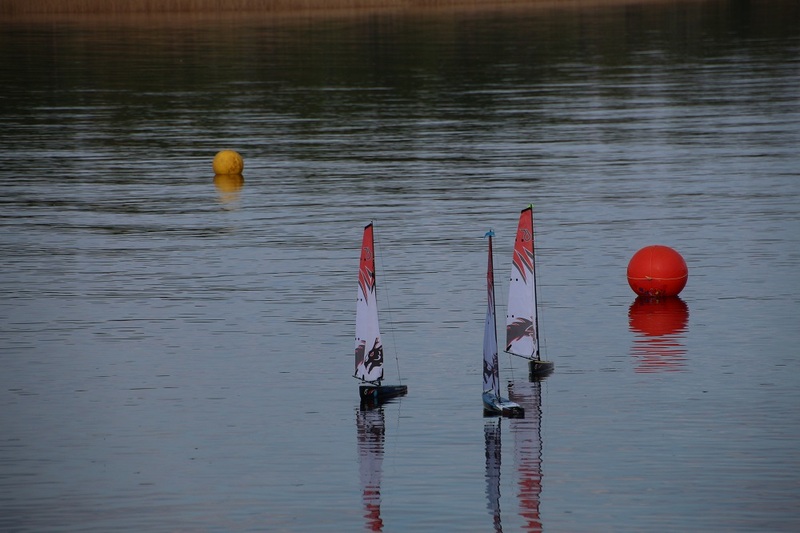 4 boats from Austria and Germany competed. I came at the end of the second racing day and saw the fun of these races in a quite changing wind conditions. 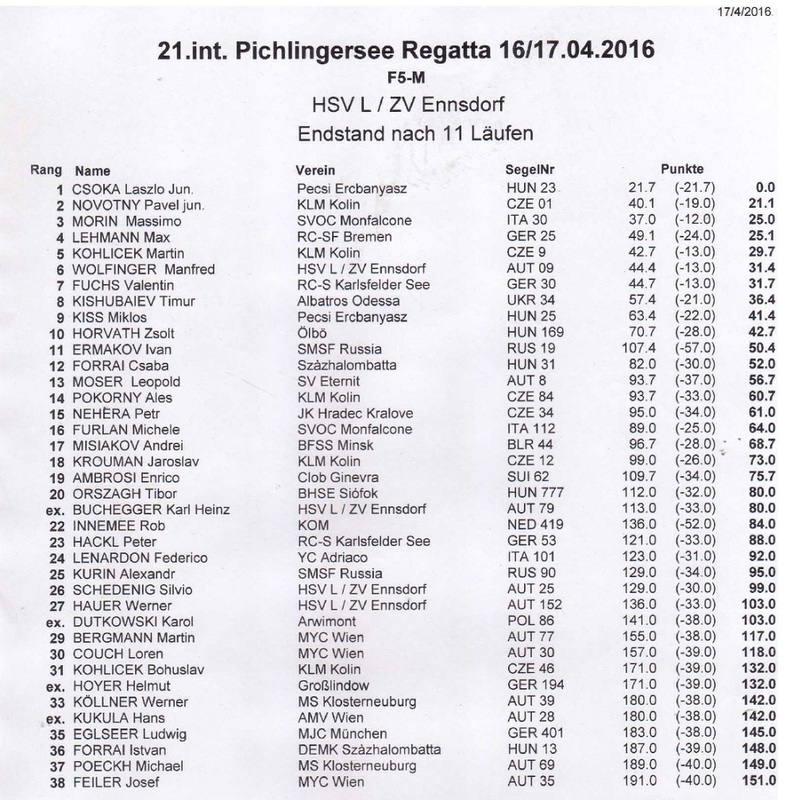 12-13.04 Tenrater class races were performed at Pichlingersee regatta. 18 competitors from 7 countries took part. There was a light wind and 15 races were performed in one heat. 10 races - first day, and 5 races - the second. From the beginning Jens Amenda took leadership, I was second, Andrii Koval - third. 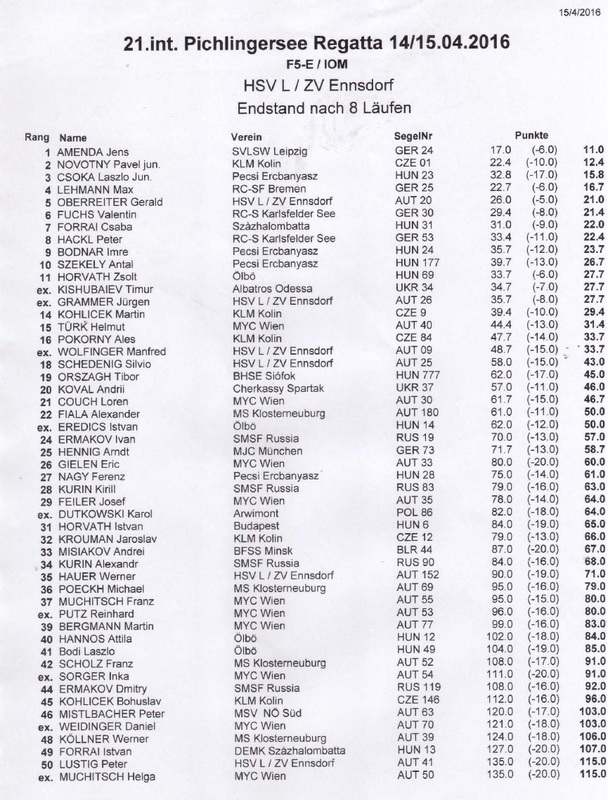 Then, at the end of a day 1 Laszlo Csoka almost reached Jens, I was third, right after me - Valentin Fuchs. 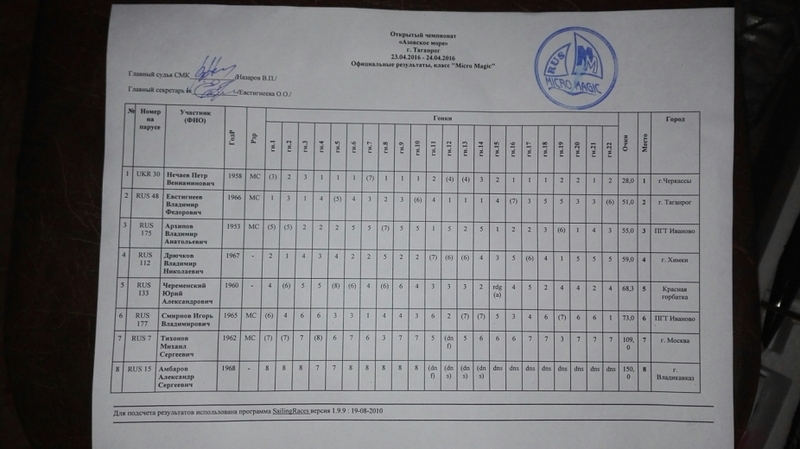 Andrii was 5th. Next day was won by Laszlo, I succeeded in last race after 3rd redress to overcome Jens. 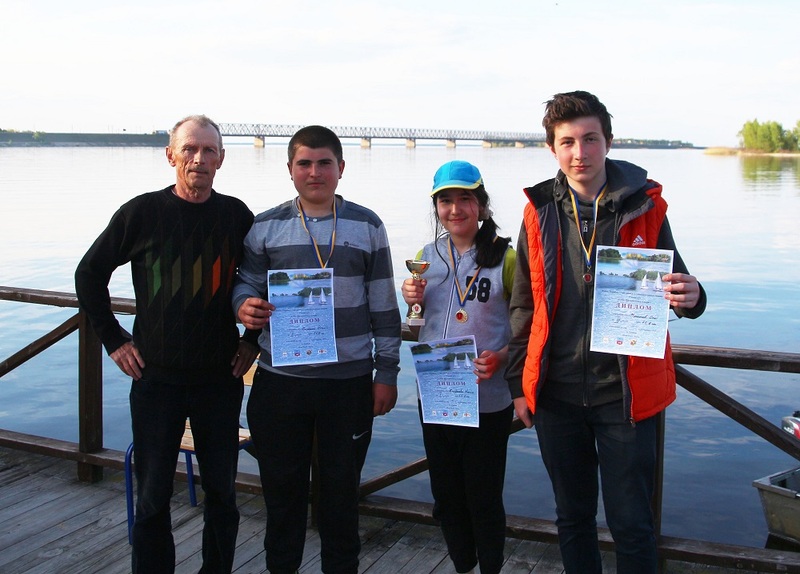 Third year in a row Ukrainians take 2nd place in this class at Pichlingersee - this is a good tradition, I think. 14-15.04.2016 the races in F5-E/IOM class were held. 51 competitors from 8 countries took part. 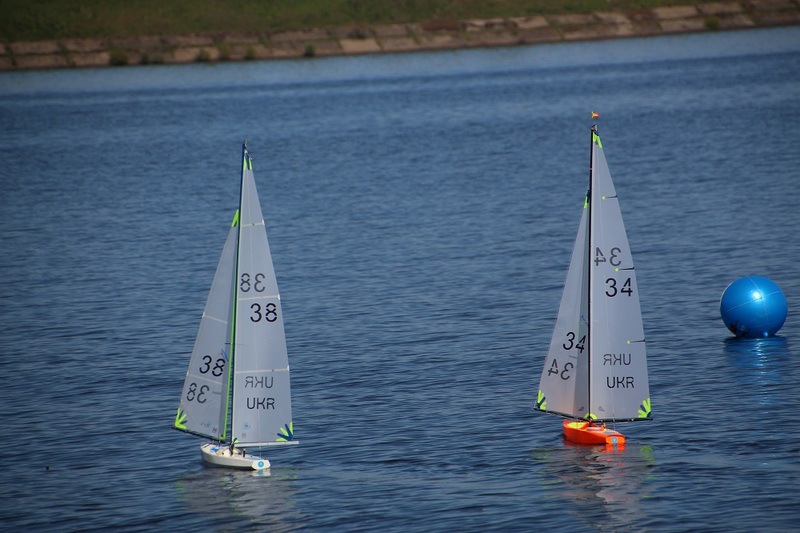 8 races in 3 fleets were held during two days. The wind was mainly in the high range of rig A. The competition was very tight. Marblehead class races were held during final days of regatta - 16 and 17 of April. This was also second stage of Europa Cup set of regattas. First day there was a light wind. Second day started with top B rig conditions and ended also with A rig races. 11 races in two heats were held. 6 during first day, 5 - during second day. I had a bad first day with a lot of races spoiled by some reasons not depending on me - like grass, mark line and contacts. 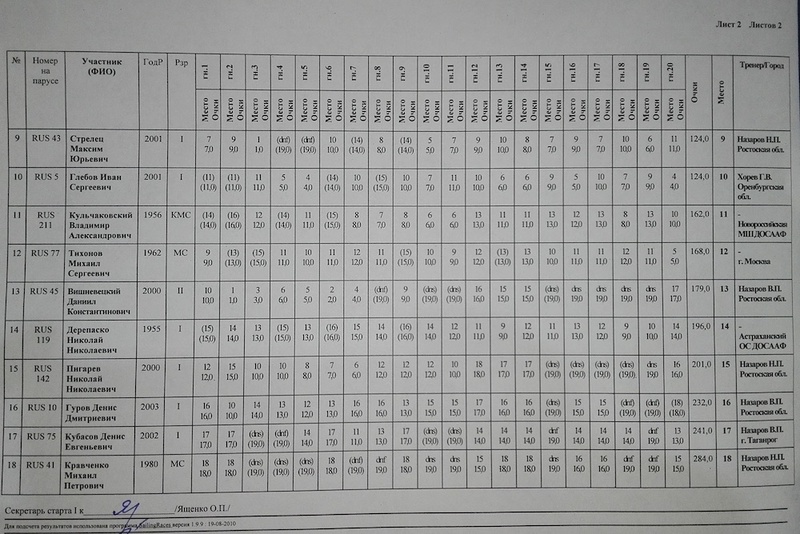 After that day I was at 13th position. Second day was better, but I succeeded only to reach 8 position. However, there is some positive even in this situation, because after 2 regattas I possess now 2nd ranking in Europa Cup Competition.